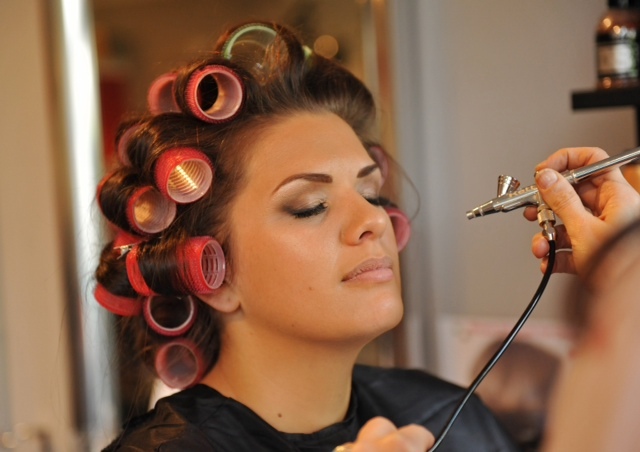 Okay, brides-to-be, you’ve found and booked your wedding day makeup artist, so that’s one more thing to cross off your to do list. But can you stop worrying about your wedding makeup now? Nope! Now it’s time to think about foundation. 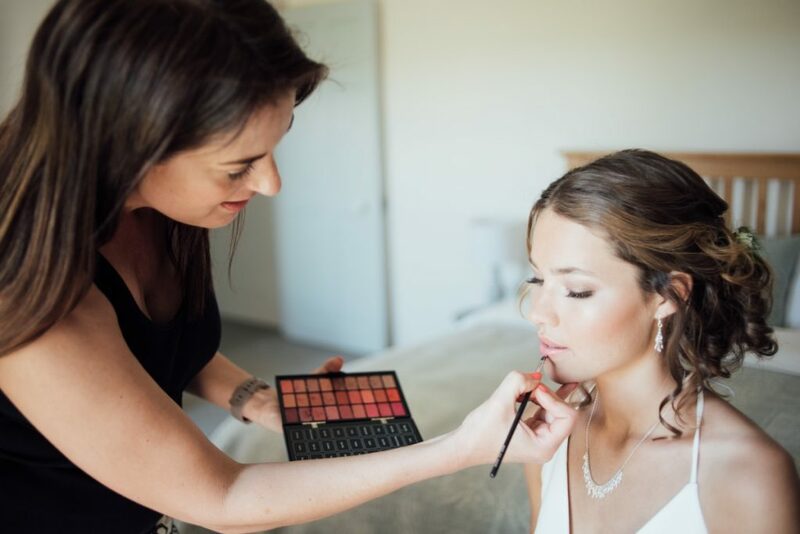 Many makeup artists will request that you buy your own foundation to use for your wedding day makeup, or will want to check with you that you’re happy with what they have in their kit. And this should really matter to you, so it’s worth doing your research! Your foundation needs to perfectly match your skin tone, provide you with the right amount of coverage, and contain less than SPF 15 (as SPF reflects off of camera flashes). 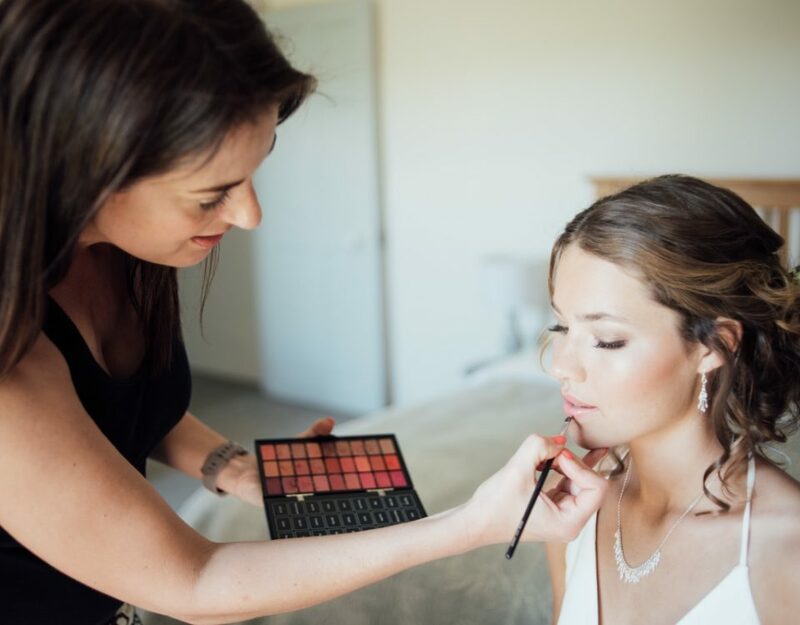 Choosing the right foundation is definitely something to put a good amount of thought into, which is why Samantha from The Wedding Secret has taken the time to go through all the available options, helping you ensure you look your very best on your big day. If your skin tends to be on the oily side, you’ll need a foundation with enough coverage to make sure that your face doesn’t appear shiny in your wedding photographs. Look for matte-finish liquid foundations, which give medium to full coverage and are best for neutralising oily skin. They are long-lasting, making them perfect for summer weddings, ensuring your makeup doesn’t melt in the heat. 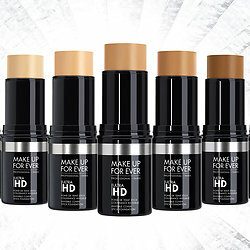 Crème stick foundations are also a great option for fuller coverage. However, if your skin is dry at all, matte-finish foundations can accentuate this. Make sure you apply some moisturiser and primer before applying this foundation on your wedding day if your skin is dry whatsoever. You should also be mindful that attempting to do touch-ups throughout the day with this type of foundation may result in a streaky finish, which will be hard to correct. If you have this skin type, it probably goes without saying that you should pick something that’s as gentle on skin as possible and won’t clog your pores. Mineral powder foundations are great for this, as they give effective coverage without creating further problems for your skin. Good quality foundations of this type will ensure that your blemishes and scars are covered, not just built over with lots of makeup. Mineral powder also gives a great photo finish. For brides-to-be who prefer liquid foundations, however, there are very high quality (albeit pricey) light liquid foundations on the market that will give flawless coverage over any scars you may have, and will also leave you with a youthful glow in your wedding photos. For brides with a naturally relatively blemish-free complexion, a sheer satin-finish foundation is probably the way to go. This option feels light as air and is sure not to look ‘cakey’, although it’s also buildable so your makeup artist can use as much as is needed to get the correct amount of coverage for you. It’s also very naturally moisturising, so is good for slightly dry skin. However, brides with very dry skin or who are getting married in colder months should still take the precaution to apply moisturiser first! Alternatively, if you’re not one to wear much foundation and want an option that will easy to apply and good for on-the-go touch ups, light coverage crème stick foundations could be perfect for you. These stick foundations are often very moisturising and will be easy for you to use after the big day without the help of a makeup artist. If this sounds like you, then I totally understand where you’re coming from. I don’t like wearing it either. But I have news for you ladies; your photos just won’t turn out as well without a good quality foundation on your skin! If you really can’t stand the thought of it, though, have a look at tinted moisturiser or BB cream options. 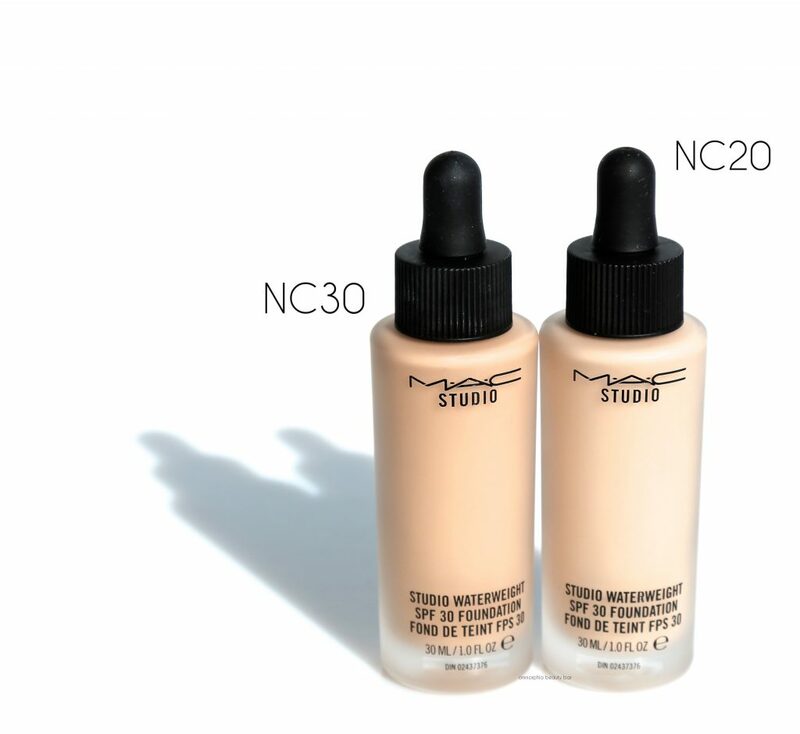 These still offer colour correction and, if you’re lucky enough to have an already flawless complexion, will provide just enough coverage to make your wedding day look completely camera-ready. You should also consider the option of airbrush makeup. 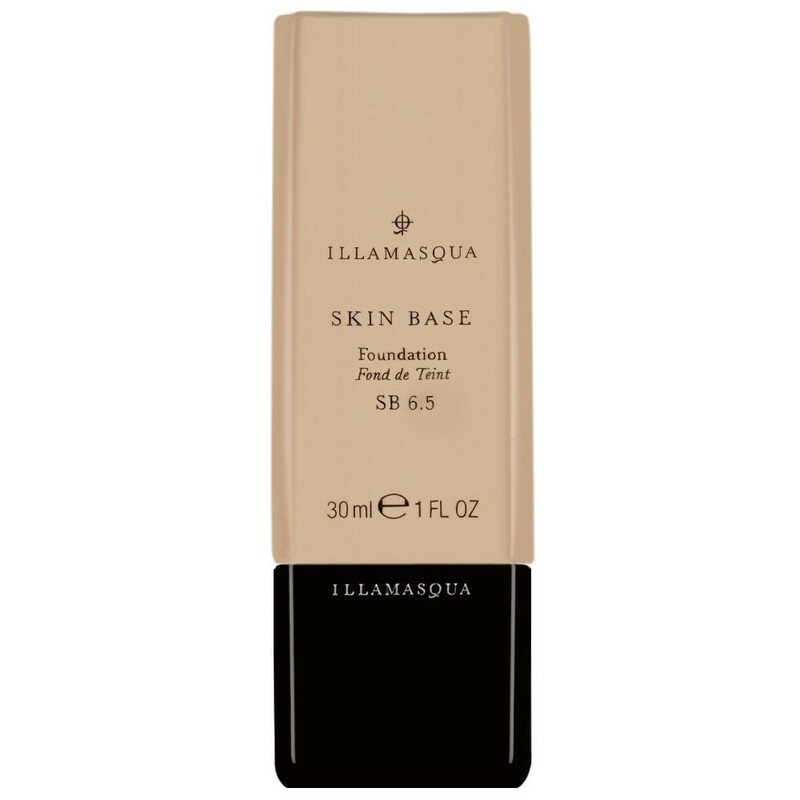 This type of foundation is great for any type of skin thanks to its flawless finish, but is particularly good for those of us who shy away from foundation altogether. Applied using a very small amount of makeup pushed through a special airbrushing device, this option is light as a feather and creates a picture-perfect effect. And the best part is you’ll probably forget it’s even there. The world of foundations can be easily intimidating as there seem to be thousands of options in every makeup store. But one size does not fit all. Most cheap, generic brands found in Boots don’t make foundations that cater to many different skin tones or types, so be prepared to brave the department store makeup counters and to make an investment. In order to ensure that your skin looks its very best on your big day, you’ll need a foundation that offers the right coverage and is exactly the right shade for you. Don’t be afraid to ask for help and advice from shop assistants, and try out as many as you can until you find one that’s comfortable to wear and that looks great. I hope I took some of the mystery away from choosing your perfect wedding day foundation! Happy shopping, ladies!